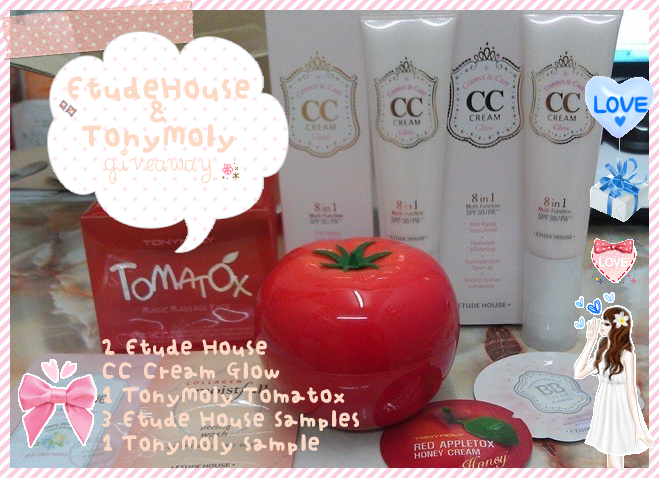 HomeBeautyEtude House and Tony Molly Giveaway! Yup, you read that right, there is an ongoing giveaway in Apple’s blog, http://bubblesmilkk.blogspot.com.. The winner will be chosen by rafflecapter and will be emailed right away. The best part of it is, this giveaway is open internationally! So join now!